Beautiful, magnificent, newly renovated and ultra-designed townhome. Our beautiful townhouse has four flours. It was fully renovated 4 years ago, and is the encapsulation of a modern yet homey and cozy place. In the first floor, we have the living room and the fully equipped kitchen, with the indulgence of a Nespresso coffee machine. Downstairs, we have a big basement with a TV, X-box consul and a new treadmill for you to keep in shape... In the living floor, we have 2 bedrooms with main bathroom and one master bedroom with master shower/bathroom. 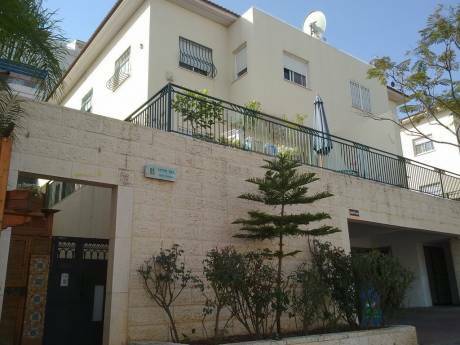 The fourth floor accommodates another room and a roof overlooking the city of Herzliyah. The house has a beautifully groomed garden. We are a midaged couple (45 years-old) with two young kids: a 13-years-old son and a 9-years-old daughter. Eyal is a lawyer and I'm a law professor. We have exchanged homes in the past three years and enjoyed the experience tremendously! We see this as a great opportunity to share human trust and globalized communitarism. After spending the last three summers in Europe, we believe non-commercial home exchange is the best way to fully enjoy your annual family vacation! 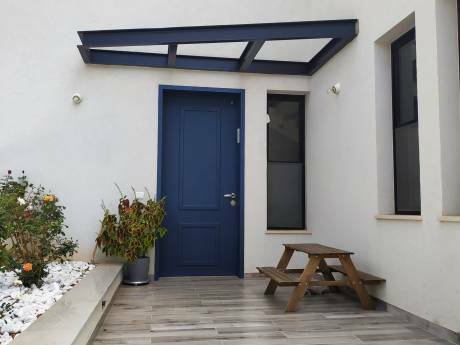 Situated in a quie&#1488; residential area on the midst of Herzliyah, with shopping streets nearby, not far from the beautiful beaches of the city, 10-minute ride away. The city of Herzliyah is ideally located at the center of Israel, just 20 minutes away from the vibrant city of Tel-Aviv. Jerusalem is one hour away and the beautiful beaches of Netanya and Cesaria.